When I was in high school, I ran cross country. I actually only ran my senior year. Something about junior high trauma from being cut from sport teams prevented me from ever trying out for a high school sport in which I could be cut. Cross country was different. I just got out there and ran. Through college, I continued to run on a quazi-consistent basis.When I began teaching, I coached cross country for six years. And then I went cold turkey and completely stopped running. Occasionally I would attempt to go on a run. After about half a mile I would feel my lungs beginning to explode. Fifty yards after that I would think I was going to throw up. I would walk home and decide that I was done running. It was kind of like Rocky, except instead of deciding to push through and run, I just decided that I would be done. The day we got Kona in November 2014. Last fall we got a dog. We were not looking for a dog, but the dog came to us. Kona was a 50 pound German Shepherd puppy rescued by the Phoenix Police Department. Yes, I just used the words “50 pound” and “puppy” in the same sentence. Kona is a little different than the Miniature Pinscher puppy that my wife and I had for 12 years (parenthetically, Beanie was a wedding present. While we loved Beanie, please don't ever consider giving a puppy as a wedding present. Many, many other things make better wedding presents than a puppy). We quickly realized that a massive, growing, working dog needs more exercise than just playing ball. So I dusted off my old, cheap running shoes, fired up my Map My Run app on my phone, and took Kona on a run. I made it about a block before I needed a rest. And a nap. Kona looked back at me with her big puppy dog eyes, tail wagging, as if to say, "That wasn't nearly far enough, pal." I walked a little bit, ran a little bit, and ended up doing a little over a mile in 11 minutes. My body needed a break after that, so I took the weekend off. 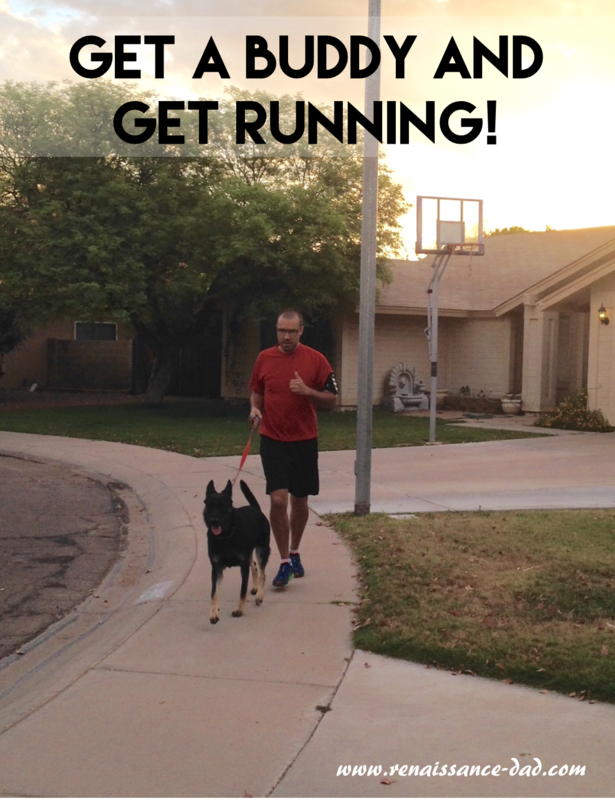 The next Monday I did my walk/run routine with Kona with a 13 minute/mile pace. And that's the way it worked for us for the next week or so. Some days I would get to 1.25 miles, but always with a slow pace. The difference between trying to get into running in the past compared with now was the big, black German Shepherd who continually urged me on. We would start off running, and when I felt like I was ready to walk, I would pick an object in the distance and decide to run until I got to that object. We would then walk for a spell, and I would pick another object, much closer, and commit to running when we got there. My out-of-shape body was trying to develop a rhythm, and Kona was there encouraging me (and sometimes dragging me). After about a month, I decided to try to run two miles. Kona and I made it two miles in a little over 20 minutes. This was no speed record, but I was very happy with the distance. I now knew that I could run two miles without needing to walk much. This was seven months ago, and Kona and I now run between 2 and 3.5 miles regularly. While I try not to pay much attention to our pace, we are averaging about 8:10 per mile. In seven months we have shaved about five minutes off our our average per mile pace. I use the Map My Run app, which is great for my competitive nature. I can see my progress, and almost always shove my sweaty phone in my wife's face after a run so she can see how I have done. This is a great app, and if you're not ready to get a large dog to help you run, this may be a good encouragement as well. She gets to flop down after the run...I have to go to work. Aside from exercising the dog, I am feeling better. I have lost about 10 pounds, and my knees, which were not in great shape for many years, now feel fantastic (I did work with my chiropractor and wore a knee brace for about six months). Now that I'm feeling better, I've started biking to work once or twice per week, and I'm spending less on gas. These are all benefits that came just from trying to wear out my energetic, large enormous dog. But the best thing has just started happening. Once school ended for the summer, my seven-year-old got up one morning and asked if she could go running with me and Kona. My initial thought was, "She's just going to slow us down. There's no way she could keep up with us." But I caught myself and asked myself what was more important - running fast with the dog or running with my daughter. She threw on her running shoes and came with us. We ran 1.2 miles, our pace was really slow, but we had a great morning. A few days later, my seven-year-old AND my four-year-old asked if they could run. It was a rainy morning, but I told them both to get their shoes on. We ran, we splashed in puddles, we talked, and we had a wonderful one mile run. I realized something that I almost missed. My running with the dog is not the most important thing. My faster pace, longer distances, or goal of completing a Disney half marathon at some point in the future are not the most important things. My relationship with my kids is more important than any of this, and I almost forgot that. That doesn't meant that I don't get frustrated or annoyed or short-tempered with them when I want to do something quickly. 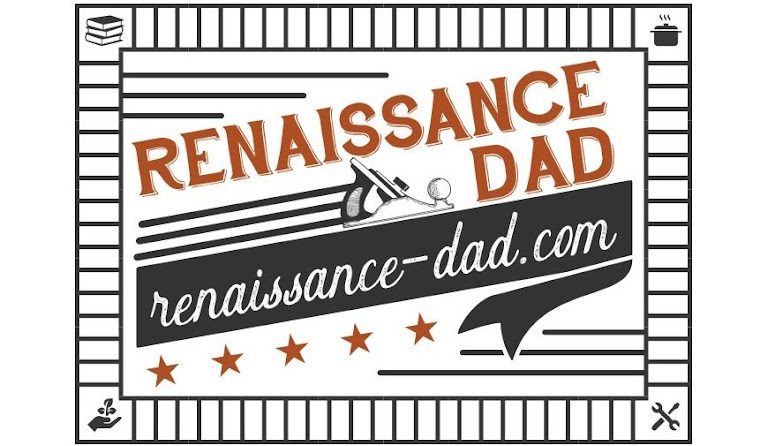 But the whole point of Renaissance Dad is engaging in life with my kids, and I almost missed this opportunity. So thank you, Kona, for giving me another opportunity to spend time with my kids. Thank you for helping me get healthy so that I can hopefully have a long, happy life with all of my loved ones. And thank you, kids, for remembering to pick up the dog poop. Because after all, Kona is your dog.